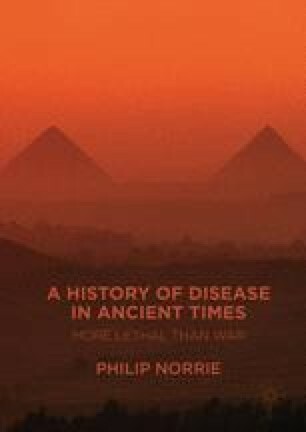 This book will explore the way in which infectious diseases affected the course of ancient Mediterranean and Near Eastern history. The general hypothesis is that most major changes in the Ancient World were precipitated by infectious disease epidemics such as the end of the Mycenaean Palatial Empires, the end of the Hittite Empire and the end of the Near Eastern Bronze Age in c.1200 bce; Egypt’s withdrawal from the Levant, the fall of Athens, the end of Carthage, the fall of the Western Roman Empire, the invasion of Islamic forces into Europe during the Plague of Justinian; and even the end of the Sumerian and Indus Valley Civilizations. And if the Ebola virus gets out of control—it may be 1200 bce all over again!